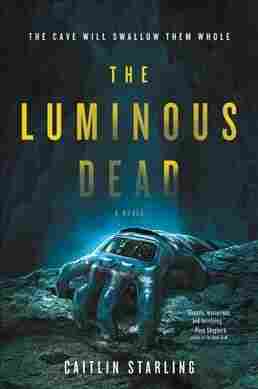 Book Review: 'The Luminous Dead,' By Caitlin Starling Caitlin Starling's tense new horror novel follows a desperate young cave diver who's lied her way into a job on a dangerous planet, and the supervisor who may not have her best interests at heart. It is a torturous book. Horrifying in small, cutting, personal ways, and in the more classic scare-in-a-dark-room way. But there's an iron rod of panicked strength that runs through the middle of it.